Part of the London SE4, greetings cards series. Wrap up warm on Christmas Day and stretch your legs at your local park! 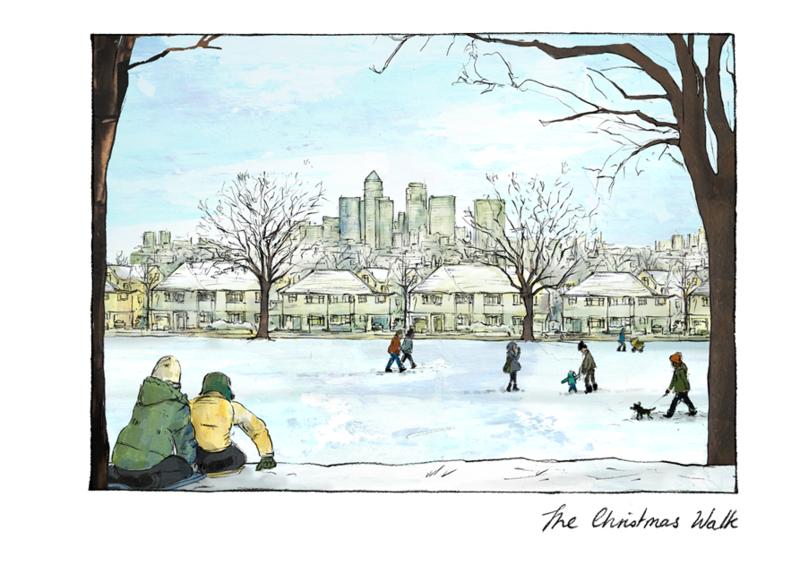 If you’re lucky, you might even get snow, like we did one year here up on Hilly Fields.